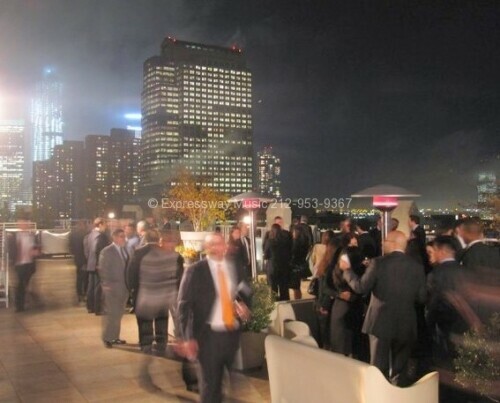 For the 5th straight year DJ Dave Swirsky dj’d a well known Hedge Fund’s annual executive employee party this year held at amazing NYC event space the Tribeca Rooftop. 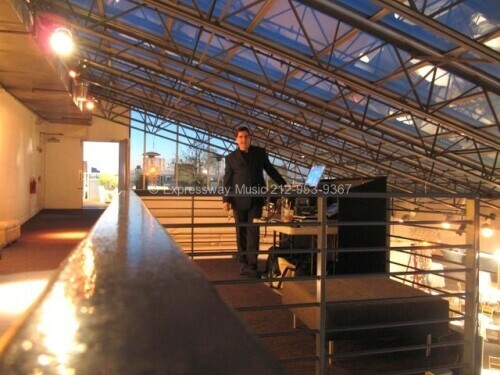 Here is a photo of DJ Dave before guests arrived with his set up overlooking the main space. Expressway Music provided sound throughout the entire event space(using all Bose speakers)and even outside so the 500 plus guests could hear the music and hear the Company’s Presidents speech whereever they were located. DJ Dave was asked to provide great back round music(not dance music)so guests could talk and eat dinner. DJ Dave played mixed genres of all types of easy listening back round music all at the perfect volume. 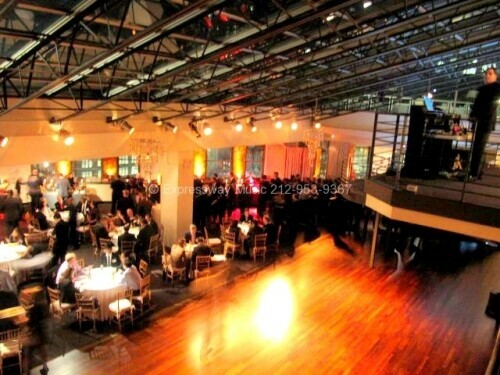 Here’s a photo from DJ Dave’s perspective overlooking the event space while guests were eating dinner from the delicious Sushi stations provided by the space. Expressway Music also provided sound outdoors so guests could enjoy the music and the amazing weather! It was great to see you to and thank you for taking such good care of our group! It is so good to know we can relax because you do such an excellent job. Everyone had an excellent time.